Welcome to the World Wide College of Auctioneering web site! Thank you for stopping by our web site and feel free to peruse the various areas. I know you will find them very informative. World Wide College of Auctioneering was founded in 1933 by the legendary auctioneer Col. Joe Reisch to provide the very best Auctioneer education and training available and today we are continuing at the same high level of excellence and tradition. 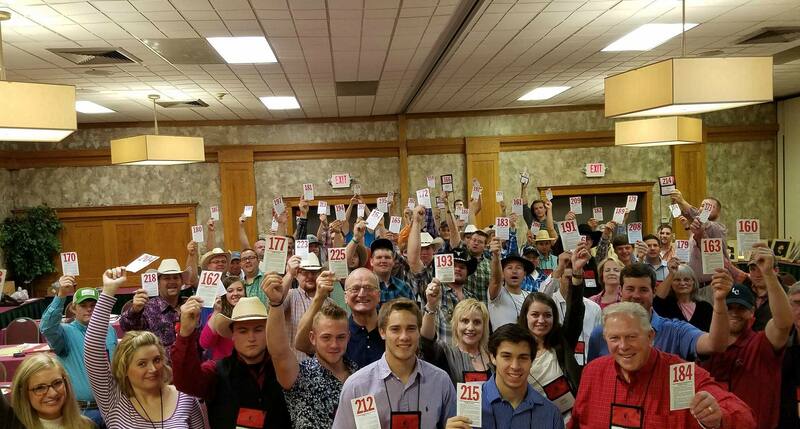 Since that time over 40,000 men and women of every age, from every state in the United States, from every Canadian province and from many foreign countries have taken their place in the personal and financially rewarding world of auctioneering, most had no prior auctioneering or public speaking experience. You too can join the ranks of the wonderful world of the professional auctioneer. Col. Paul C. Behr has been an auctioneer for over 40 years having graduated from World Wide in 1971. A three-time world Champion Auctioneer he has conducted approximately 8500 auctions during that time. From mult- million-dollar real estate, auto, livestock and commercial/industrial auctions to charity benefit auctions. Col. Behr states "The most professionally rewarding thing I have ever done in my auctioneering career is to train and educate new auctioneers to take their place as the next generation to top auctioneers in the United States and Canada. I strive to personally do all I can to help each student become a successful auctioneer." World Wide College of Auctioneering is known for results, training more men and women to become successful auctioneers. Col. Behr has the background, knowledge and credentials to help pass his success on to you. The first voice you will hear when calling World Wide College of Auctioneering is the courteous and professional voice of Vicky Ginder. Having helped with the start of so many successful auctioneer careers, Vicky is now recognized as one of the foremost experts in helping men and women join the personally and financially rewarding career of auctioneering. As a principal owner of World Wide, the only woman in the United States or Canada with that distinction it is a good reason auction industry leaders have requested her expertise on National Boards. If you have a question about a career in auctioneering or about the College, Vicky has the answers. 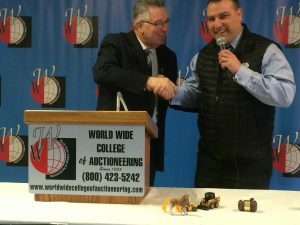 We at the World Wide College of Auctioneering will do everything possible to provide you with the very best education and training by the world's finest auctioneer instructors. That is our personal promise to you!